fax machines to online faxing. We have compiled a few reasons why you should choose online fax. With online faxing, you can easily send and receive faxes anytime and from anywhere in the world. You don’t need any fax machine, paper and ink toners. You can send, edit, sign and receive documents from your own mobile phone. Online faxing benefits the environment. It cuts down on the usage of paper and allows you to send faxes electronically. With traditional faxing, you need a fax machine to send and receive a fax. With internet faxing, you can send and receive faxes anytime and from anywhere. You can fax on the go using your computer or mobile device. Online faxing is more secure than traditional faxing as you’re are not leaving your sensitive data in the open. The only thing you need to use an online fax service is a valid email address. No fax machine is required. No need to have an office space! With online fax, the traditional fax machine is replaced with a mobile app. 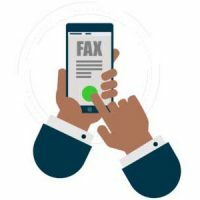 This fax app allows you to send and receive faxes on the go. It’s no secret that record keeping becomes quite easier with internet faxing. It allows you to track all your inbound and outbound faxes online. You can sort all fax data with a few clicks using virtual faxing. Online faxing doesn’t need expensive machines to send and receive faxes. Fax apps can save your business a lot of money over the course of the financial year. 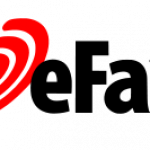 Fax apps send you a notification when a fax has been sent or received. So, you don’t need to check the fax machine for your important documents. More and more people are making the move to internet faxing at a high pace. 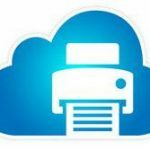 Let internet faxing take your business to a higher level. Online faxing is flexible and secure.